Earlier this week I read with great interest two articles (1, 2) — both were published July 26, both were about defects the owners found in their X1 Carbon(s), and both were negative. As it happens, I have no disagreement at all with either article calling for better quality control and service for the X1 as well as thinking twice before purchasing one. I think it’s great that communities like reddit and notebookreview allow customers to share their experiences with one another, and these interactions have recently led to greater consumer awareness. I’ve seen complaints from nearly every OEM, from those with generally bad reputations to the very positive. 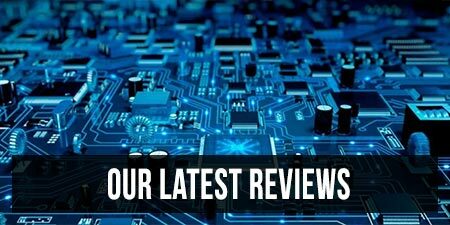 Even Lenovo and Dell, two of the largest PC OEMs and companies well-known for their business support, receive a lot of complaints online. It’s easy to have a couple less-than-optimal experiences as a consumer and get fed-up with a certain manufacturer or product, and I want to reaffirm that this is valid: There is no good excuse for shoddy workmanship, quality control, or service. 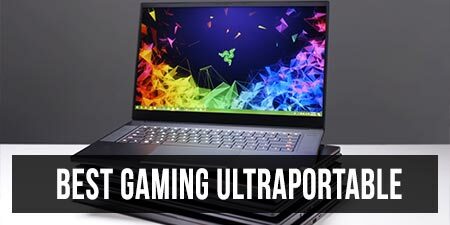 As a (semi) professional reviewer who is also a perfectionist, however, I feel that I can add something to the conversation with my own experiences owning a large number of laptops that I needed serviced over the last several years. Let’s go in chronological order starting in 2016. I had a P34W v3. The GPU failed the day I got it, and it took two weeks to send it to Gigabyte for repair in Taiwan and get it back. It was all paid for by them, of course, but unfortunately the GPU lasted about three weeks before failing again. The laptop would fail two more times before I immediately sold it after its last repair. The buyer reported that it failed the day after he received it, but he was able to get a replacement v5 from Gigabyte for free, which finally did not fail. Either way, it was enough for me to ever consider the P-series again. The screen developed white spots and battery lost almost 50% of its capacity after one year. Out of warranty, but I just went in circles with Razer support over a few weeks of emails. Gave up and sold it for cheap. My first XPS 15 was the UHD/i5 SKU. Had trouble detecting headphones in the audio jack. I called Dell and they swapped the motherboard in my home a couple days later. No more issues except the dreaded 800MHz VRM-induced throttling. I owned quite a few 9560‘s in various SKUs throughout 2017. I actually forgot how many I owned, but I would guess around four. Three of them had a variety of issues with their screens. The first was a model with an FHD panel and had severe backlight bleeding visible during normal operation as well as uneven backlighting (around 50 nits difference from left to right). I called support and once the part came in a week later, the service technician arrived to replace the screen. Unfortunately, the upper screen assembly the tech brought was not properly centered in the bezel, and I was not willing to accept a replacement with that defect. The next screen came another week later. It was properly centered in the bezel this time, but had a dark spot in the middle of the screen, so back it went. Every replacement screen (there were 3 more after that) had similar issues with either not being centered, uneven backlighting, or very bad uneven bleed, and I eventually gave up and sold it to someone who didn’t care as much. 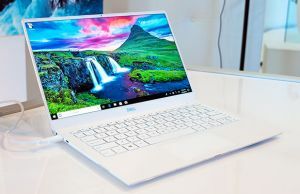 My next three XPS 15 9560 laptops were the UHD model, which I would find would have less backlight bleed and were at least centered in the bezel, but also suffered from uneven backlighting and color temperature. The first one had no issues (I would regret selling it), but the second two did. The first of the defective panels was much yellower on the left side of screen, while the other one just had backlight evenness issues. I was able to get a panel that met my standards for evenness for them, but it took around three or four tries to get a good enough panel. 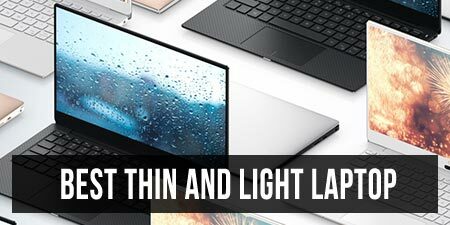 My own experience with this laptop made me feel very empathetic with the writers of the two articles I mentioned earlier. Issues I found with my X1 included peeling paint, an unresponsive keyboard and fingerprint scanner and a screen with terrible clouding around the edges. I called Lenovo, who scheduled a service appointment a week later, but the unfortunate part is that the contracted company only worked during weekdays. This meant I had to stay home from the office and wait all day, which became a major point of aggravation with repeated service. The first service technician insisted on checking my fingerprint scanner and screen in Windows and calling his supervisor on the phone before starting the scheduled service. While on the phone with his supervisor, he asked me if I had updated the BIOS and drivers, and if that had fixed the problem. Trying to contain my irritation, I told him I had. After around 10 minutes of impotent troubleshooting, he started servicing the laptop. The service hit a snag when he opened the bottom case and couldn’t figure out how to disconnect the panel or take out the keyboard or fingerprint sensor, however. “I’ve never worked on one of these before”, he breathed. No stranger to incompetence, I already had the Lenovo Service Manual for the X1 open on another computer, and luckily I was able to guide him to disassemble the laptop. The result of the service? Keyboard: fixed. Fingerprint sensor: same issue. Screen: worse than the original. It was around 11pm at this time, and the repairman said he had been working all day, which I believe for a number of reasons. Tired, I didn’t want to put the old screen back in, and I just told him I’d keep it. The next day, I noticed how much worse the new screen was and that it was about 2-3mm off-centered in the bezel, XPS 15-style. I called Lenovo for another try at the screen, and a week later (and another day working from home) the same tech came. This third screen was still not good, but due to the absolutely terrible quality of the previous two panels (and actually the other three I’d seen in the store), I figured it might be as good as I could get with this particular panel. Once I helped him put the screen in, I noticed that the panel was again off-centered, however. Looking closer, I found that there were foam shims on 2 sides of the LCD panel, but not the other two. This resulted in the panel shifting around before the bezel sticker was put back on (I noted the service manual explicitly said the bezel must be replaced every time it is removed, but neither time did the tech bring the bezel part, even after I specifically asked support for it). It took around an hour, but I was able to carefully cut off small pieces of some thicker thermal pads I had lying around and get the thickness just right to keep the panel centered. Job done, I decided to cut my losses early, sell it, and stick with the XPS 13 instead. Next up was the XPS 15 9575. The two issues I had with this model were that the top quarter of the panel was significantly dimmer (at least 50 nits) than the rest, and two of the four cores on the i7-8705G CPU were 11-15C hotter than the rest. I called Dell (who told me that these parts weren’t available in Hong Kong yet but would get them shipped in) and I got a tech with the parts the next Saturday. The new panel was a little better, but the new heatsink didn’t improve anything. After the tech left, I tried repasting a dozen times, lapping the sink, and anything else I could think of, but I just couldn’t get even temperatures. You might start to recognize a pattern here, but I cut my losses trying to fix it, and sold it on. 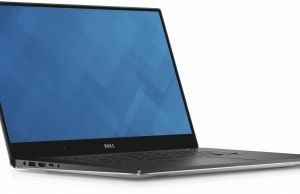 My first XPS 15 9570 was an FHD model that followed the same unfortunate path as my first FHD model. One part of the screen was slightly warmer in color than the rest, and each successive replacement had an issue with color, backlight evenness, or uneven seating in the bezel. Starting to believe that Dell was unable to produce a single perfect XPS 15 FHD panel, I sold it. My second XPS 15 9570 — this one for personal use only as my laptop of choice — was a UHD model I bought from a brick and mortar shop. 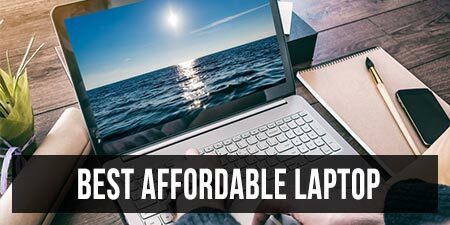 I usually buy laptops online, but because I had such difficulties getting good refurbished panels from Dell repair, I decided to pay a premium to buy one locally. I found a shop, checked the screen out to my satisfaction, and happily went home with it. Finally, a laptop without issues. …Until a week later, when I noticed that there was a rattling sound coming from the left side of the machine. Bad fan. I took the laptop apart and inspected the fan carefully to make sure there was nothing obstructing it like the tape I found in my XPS 13 9370, and called Dell. The next business day they were at my home with a new fan to replace it. Unfortunately, Dell had given the tech the wrong fan (CPU instead of GPU-side), which did not fit. He apologized, and after 20 minutes with his handler on the phone, he told me they’d reschedule. Later in the day Dell called to reschedule, and the next day a tech came with the correct fan this time. Fans were swapped, and no more issues. I’ve left out some of the laptops I’ve owned either because I didn’t use them long enough or I didn’t have any service experience with them. If there’s one thing I think I can generalize from my experiences, it’s this: Many laptops have issues, but the more observant or demanding you are, the more likely you are to notice them. To be honest, I think most people who think their laptops are perfect just haven’t looked hard enough. Beyond that, I would actually prefer you drew your own conclusions from this article, as that was my original intention for it. Thanks for reading! Feel free to share any thoughts on the article or your own service experiences in the comments section. A fundamental principal I follow as a consumer: never ask for something to be fixed unless it renders the product unusable. If the flaw is really bothering you, then get rid of it; don’t ask for it to be fixed. I never trust the technicians. They almost always make the situation worse — one thing fixed, two other things broken. Most of these people do not care about their “craft” (who does nowadays? ), they just want to get the f* out of there the fastest possible, they will cut corners if they think they can get away with it. That's an interesting maxim. Unfortunately, I'm just too OCD for expensive products that I take with me everywhere. I've actually had good success with specifically requesting that Dell just send me the parts and I will do the installation myself. If Dell support gives me any pushback then I just tell them that the last time I had a technician come to replace a part, I was unsatisfied with how roughly they were handling my machine. So far it's worked every time. Suggestion on picking 9575 or 9570? I heard the 4k on 9570 also support pen? Should I get the hex core for more computing power and a little bit note highlighting or 9575 for better pen experience? I've been looking for about two years for a machine to replace my MacBook Pro (mid-2014), on which I would then install some linux distro. I'm fairly dissatisfied with the direction in which Apple is heading (and am nostalgic for Linux as it was the first main OS properly played with as a kid). The more I read about non-mac machines, however, the more I realise that there are really severe quality issues in the PC world. I'm amazed that no-one seems to be able to rival Apple for design quality and also service. I've replaced laptops with Apple before, and normally they've just given me a replacement laptop off the bat if the problem is serious enough, or they have repaired it in house in a matter of 2-3 days. Is the situation really as bad as it seems? I don't seem to be able to find a single (non-Apple) company without seriously variable hardware quality and irritatingly incompetent servicing. The bad news is that QC out of the factory is not as good as Apple. The good news is that getting something serviced or repaired or upgraded is incredibly easy (and at least possible) once you have one. I would recommend buying in person to check, however.